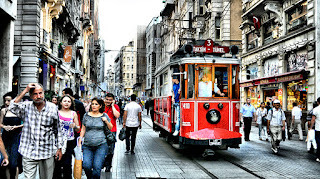 TURKEY, an amalgamation of rich culture and modern lifestyle while sustaining a unique flair. The much-needed Part 2 was delayed due to the sad passing of my dearest Grandma (may she rest in peace). My brain was a bit numb and it would not have turned out well if I forced myself to write the blog so I waited it out a bit. However, without further ado, here we go, go, go! The series is about the chit chat I had over tea with Mr. Fatih Atacan Temel, General Manager of TURKISH AIRLINES. 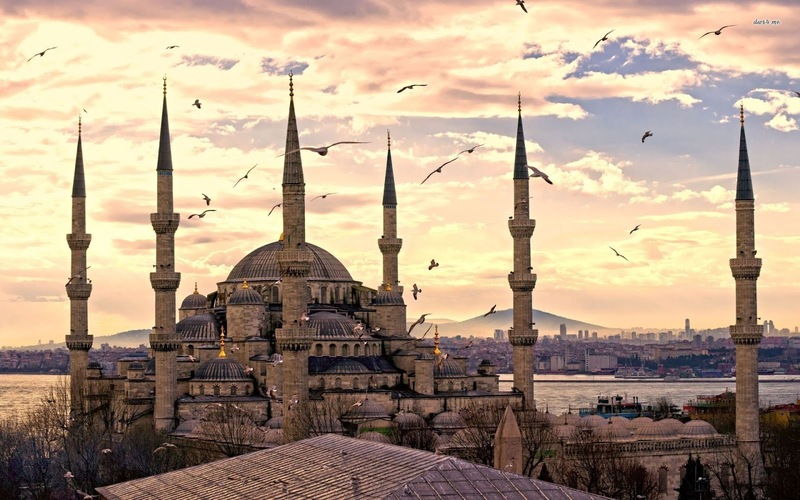 We talked about the delicious food and drinks in one of his favorite cities in Turkey, none other than Istanbul. You can read all about it in Part 1. In this post, Part 2, I will be sharing my insight about places for sightseeing and shopping as per his suggestions. How exciting! Mr. Fatih is such a fun person to converse with. Hearing him talk so passionately about Turkey made me happy, and it felt like I was actually there. 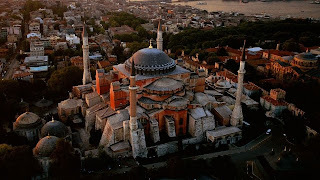 Mr. Fatih belives that as far as visiting special places is concerned its no secret in Istanbul. 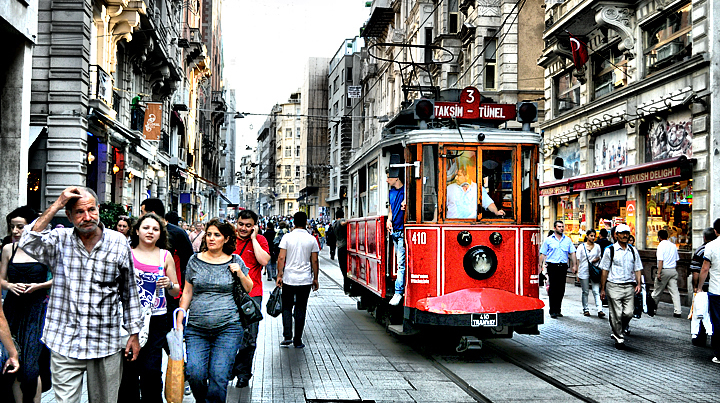 The city is bubbling with culture and Historical architecture in almost every nook and corner. The ideal place for any tourist to start off is to stay in the most central area of the city, Sultanehmet (Hippodrome) District. This is literally the heart of the city and all the historical places that you should be visitng are nearby. 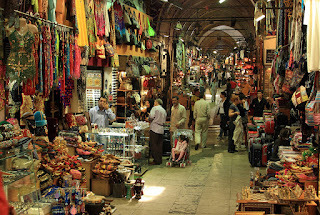 That is not all, you will also find various restruants, all kinds of hotels and inns and shopping bazaars in and around this area. 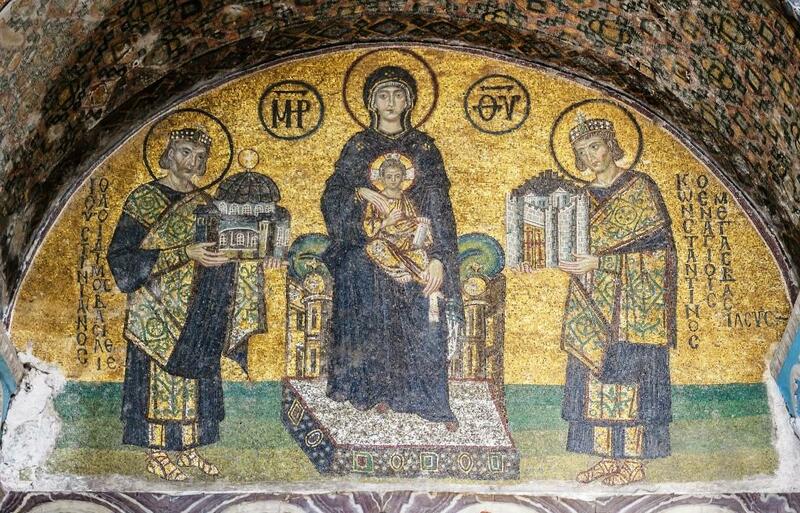 This is the centre of 'old' Byzantium, Constantinople and Istanbul, so stay there. 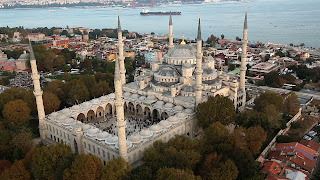 Sultan Ahmed Mosque (Called Sultanahmet Camii in Turkish), known as the Blue Mosque, is the main attraction of Istanbul. If you are visiting for a day then this one of those places you cant miss. 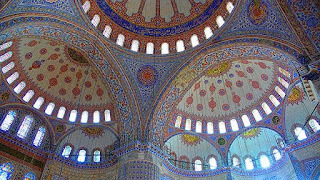 The name blue is not because the entire mosque is that color, its due to the blue tiles found in the interior design (though apparently it is not in abundance so don't expect to see everything in blue!). The mosque is huge, dating back to the 1600s. 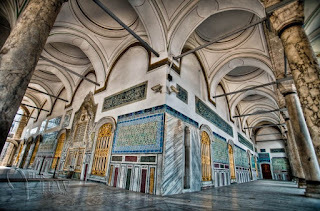 Eventhough its still an active religious place for muslims it is also open to public for appreciation of the historical Ottoman architecture and tile work. The best time to visit the mosque is in the morning becuase we need to be aware of the fact that it closes for 90 minutes during each prayer time (thats 5 times a day). The ideal place to enter is from the main hippodrome area. 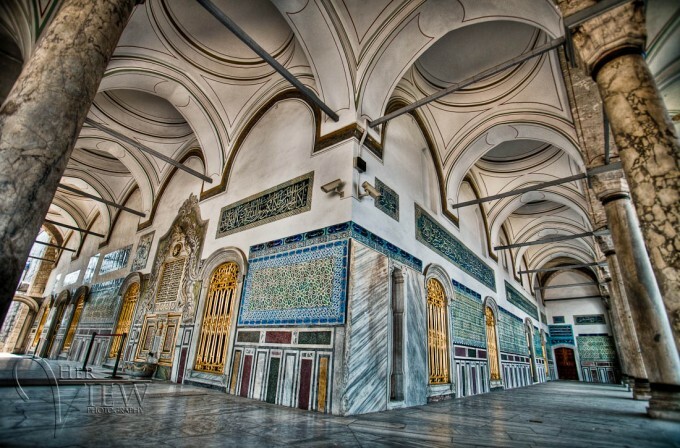 In addition to being an active mosque the builiding contains a tomb of the founder, a madrasah and a hospice. Enterance is free. 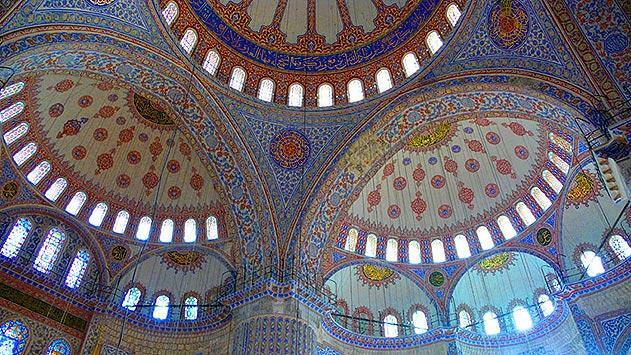 Not just another beautiful mosque. 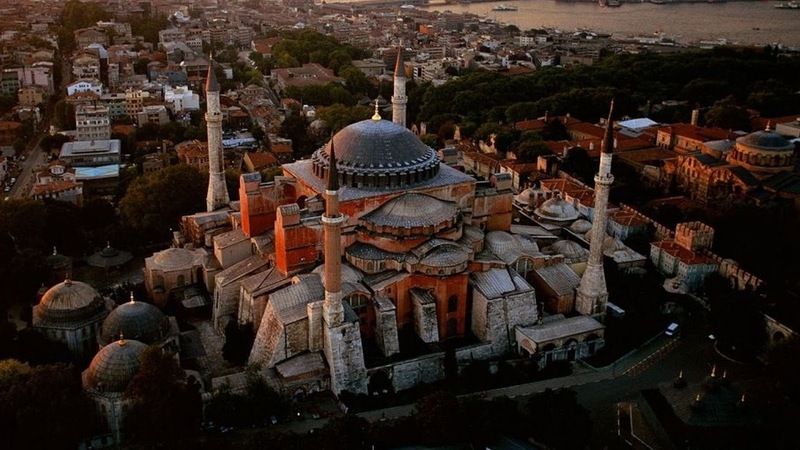 Hagia Sophia is not an active mosque, instead it was converted into a museum of art and history of architecture. 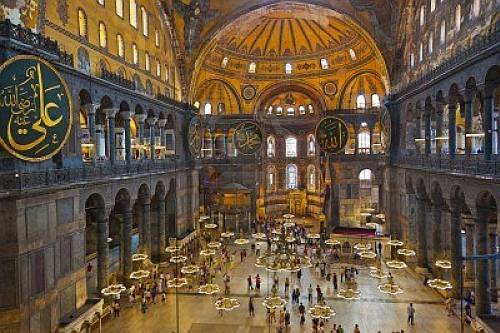 It is apparently also one of the most visited museum in the world. 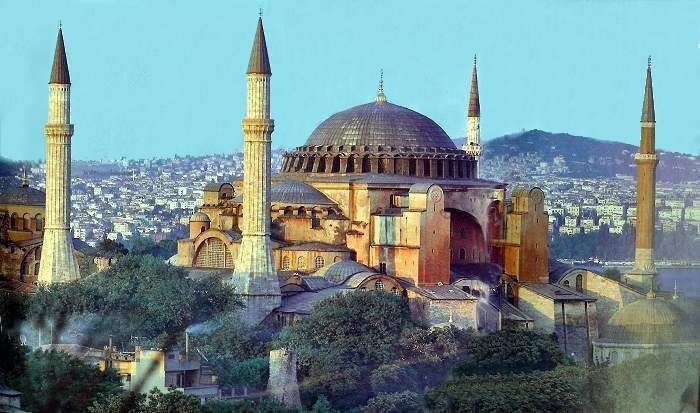 Hagia Sophia has a lot of history, cosnsidering it has gone through so much transformation. 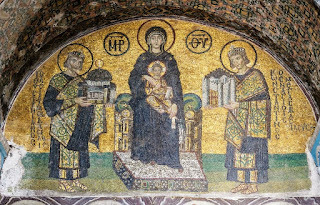 It was first used as a church and later after the conquest turned into a mosque thus you will see diversity in details of the structure, both in terms of architecture as well as interior design. You will witness a lot of calligrapic art there, in case you are into that. If you are not an art or history buff just take a photo and leave in a bit, but do visit becuase as per Mr. Fatih "You cant miss visiting Ayasofya as it's a beautiful monumental building with a history". 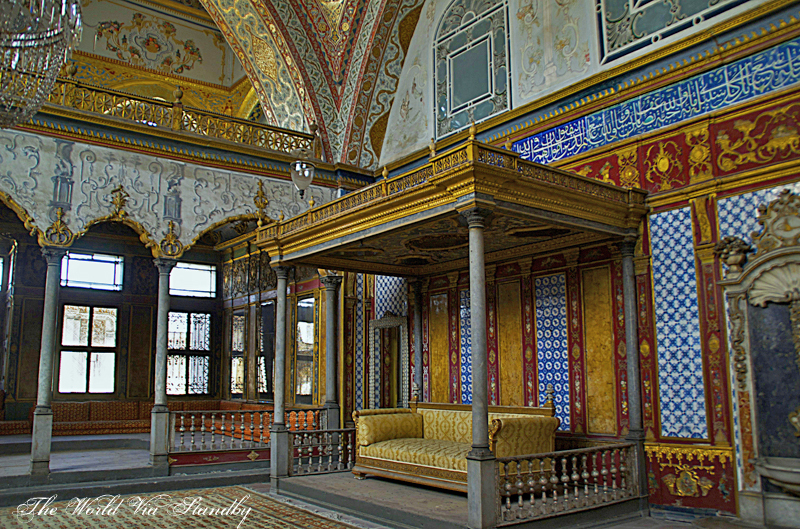 "This palace is so beautiful, especially from the inside, that it will leave you breathless". 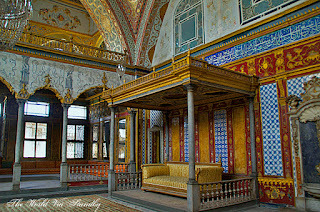 Mr.Fatih insisted that if you are visiting for a short period of time than amongst the other two already mentioned places, the Topaki Palace should not be left unseen. I later looked at the images online and wondered "Damn if the images are so amazing the actual place will blow my mind!" You will not find any Kings and Queens here because this place, as well, is a museum now. 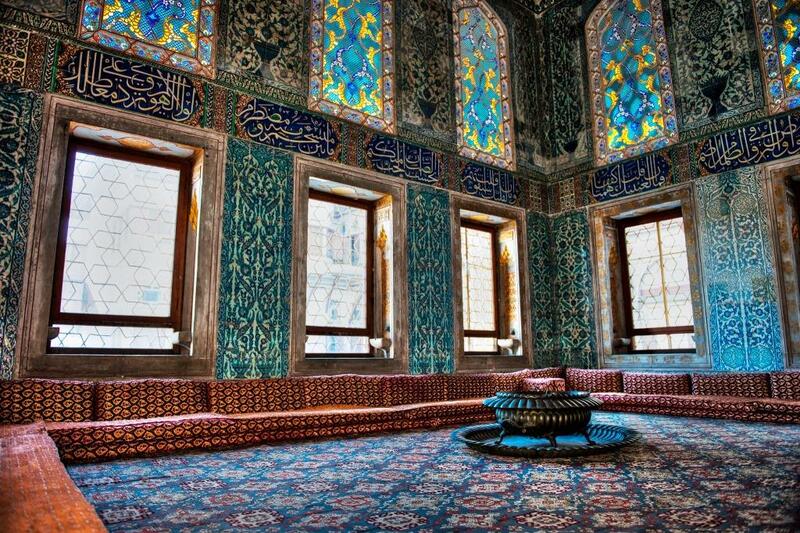 If you have seen the Turkish drama Muhteşem Yüzyıl, based on the life of the longest reigning Sultan of the Ottoman Empire Süleyman the Magnificent, you will feel you walked into his life when you are in Topaki Palace. The place was built for royal entertainment (A Harem), ehem. The Palace is also part of the UNESCO World Heritage Site just like my beloved George Town, Penang. 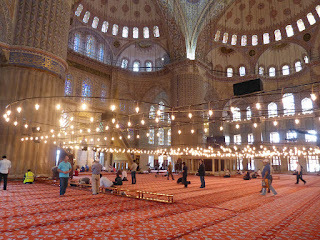 I am definitely taking out time when I visit Istanbul to check out Topaki and feel like royalty (even if it's till the tour lasts!). 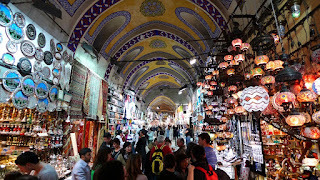 Mr.Fatih made me laugh when he told me, with all honesty, that Grand Bazaar has amazing Turkish handicrafts and products but nowadays also full of merchandise that is made in China. I suppose Chinese are not going to leave any place unscathed. 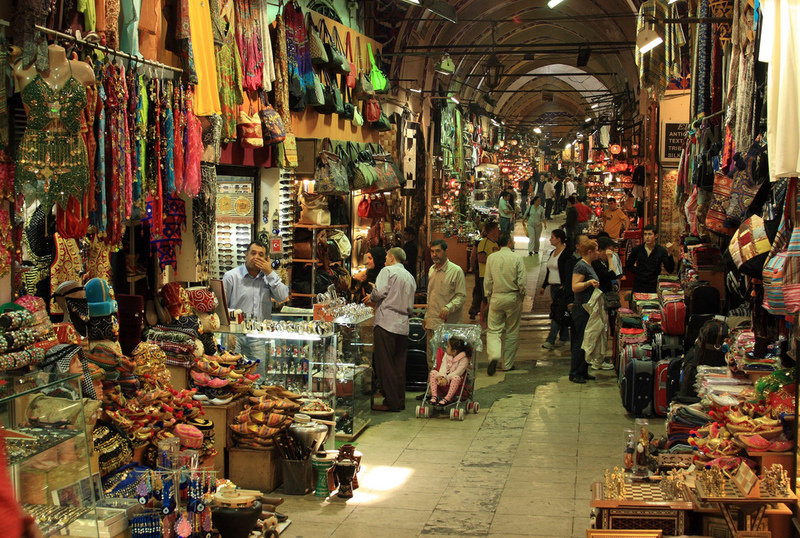 The GRAND BAZAAR (Kapalı Çarşı) is one of the oldest and largest covered markets, not only in Istanbul but in the world. 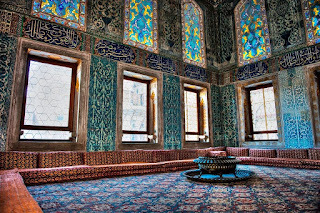 You may skim through Turkish carpets, glazed tiles, pottery, lamps and many other Turkish eccentricities or just roam around and get engulfed in the surrounding beauty while grabbing a bite in one of the restaurants there. Getting an overdoes of art and historical architecture? No worries there is more in store. Taking a stroll down the whopping 1.4 kilometers long street full of diversity in terms of architectural design, arts, restaurants, hotels, schools, shops and what not will surely get you pumped up. If this doesn't work then God help you my friend! 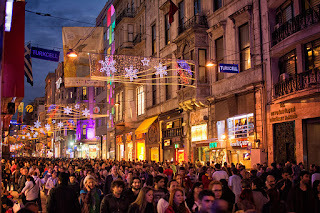 Istiklal Street, also known as Istiklal Avenue, is visited by 1000s of people every single day. 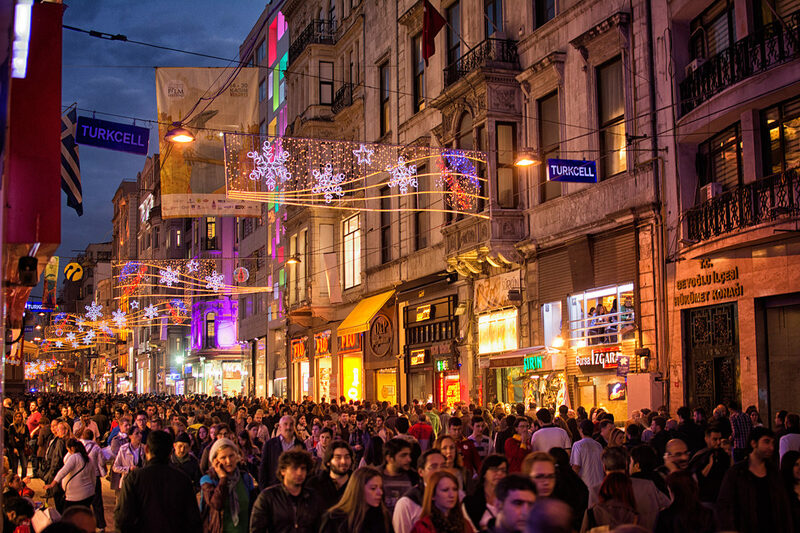 The term hustling bustling may have originated from this busy street. This is where you might bump into people from different cultures and races visiting from all around the world. This place is also full of side streets, that you can explore. Grab a Turkish local food or beverage from the vendors like the Kahramanmaras ice cream that does not melt, or puff some sheesha on a bean bag, visit an old book store, there is plenty you can do to keep yourself busy and happy. The discussion of the place oddly reminded me of Hogsmeade from Harry Potter Series. This picturesque street is an experience to remember, with a great mix of what is required for having a good time. Cant wait to walk down it myself! 1. 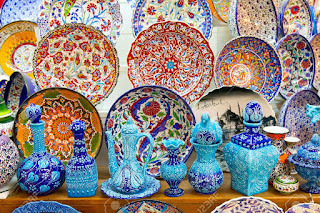 TURKISH CERAMICS: Turkish tiles and motifs are quite renowned. 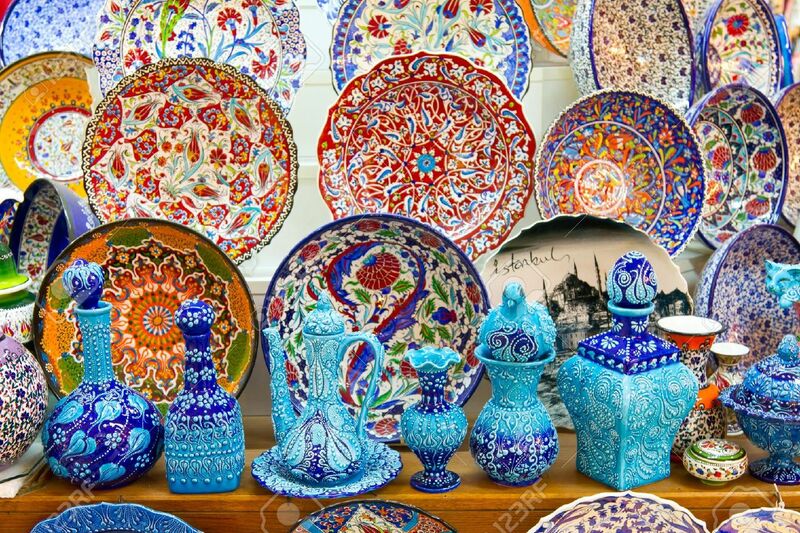 The ceramic and pottery artwork is meticulous, comprising of arabesque patterns as well as chinese insprited elements. 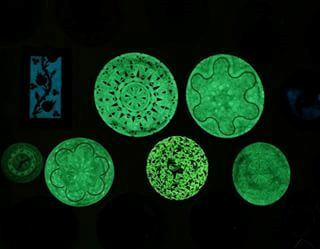 The traditional Iznik pottery as well as the famous glow in the dark item from Cappadocia ( more detail in Part 3). 2. 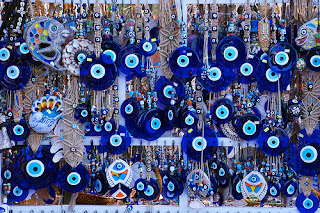 EVIL EYE SOUVENIR: The first thing that pops in my mind when I see an evil eye is Turkey. The traditional EVIL EYE talisman, is glassy and brilliant blue with a white, eyeball-like, dotting in the centre, known to ward off evil. 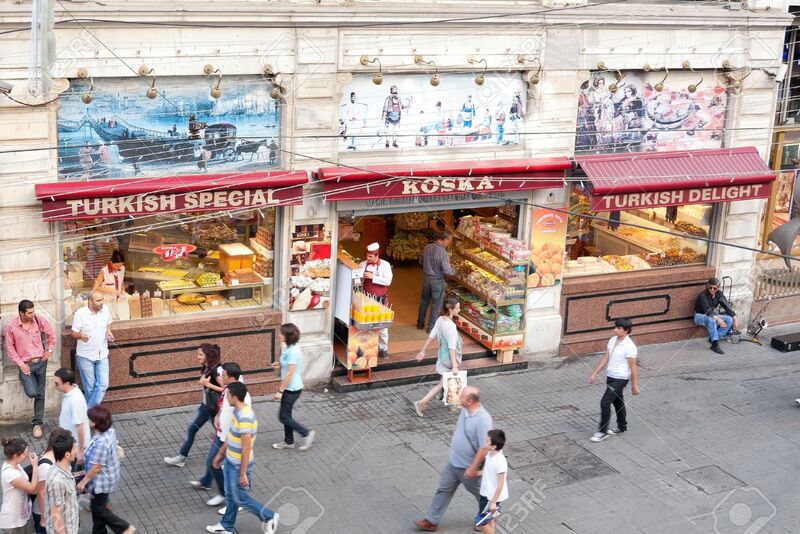 It's found in almost every Turkish household and shop. 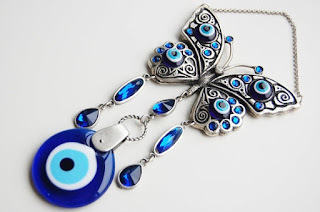 You can find all kinds of different the evil eyes in terms of decoration, wall hangings and even jewelry items. Pick your preferred favorite. 3. 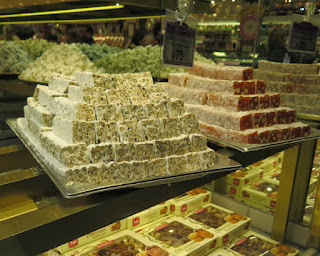 TURKISH SWEETS: Even if you don't have a sweet tooth you seriously cant say no to exotic sweets can you? 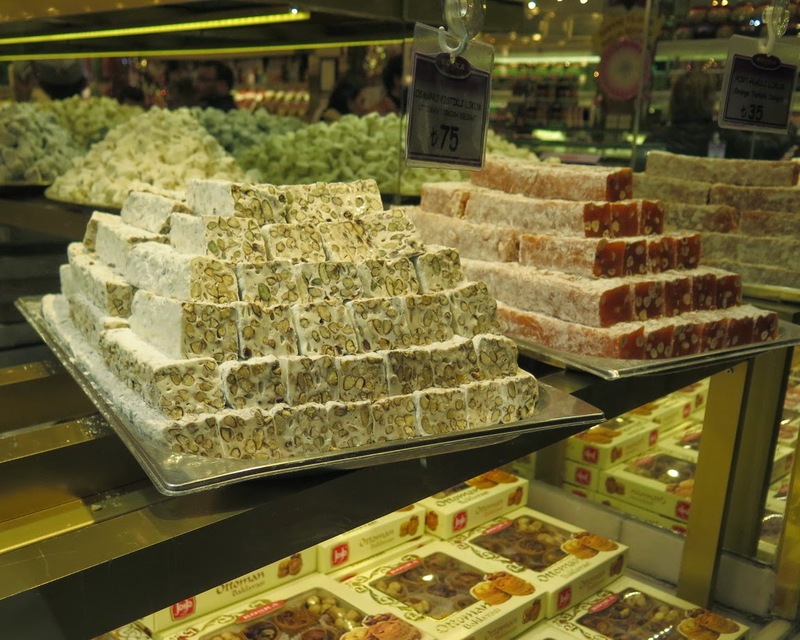 taking an assorted mix of the traditional Turkish delight, baklava, halva, nougat and cezerye is literally like giving someone a taste of Turkey itself. Yes, the title was slightly misleading, but just for fun. 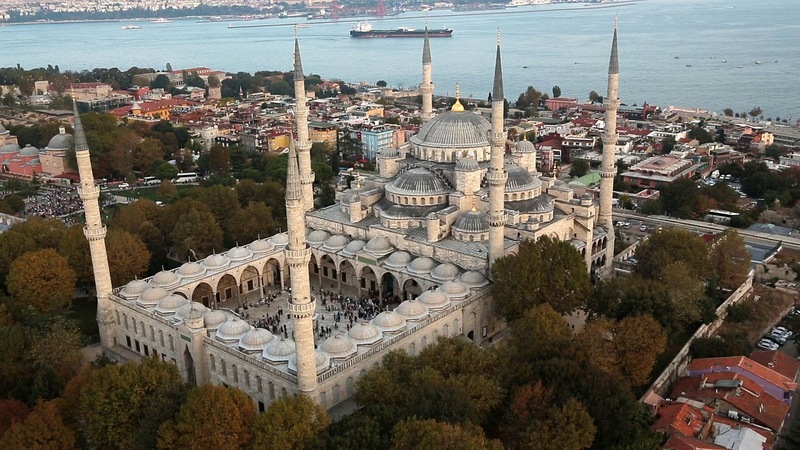 Actually, even though Turkey is a Muslim state it is very liberal and modern. The fashion is very westernized so you can where what you normally do when you are visiting (Unless you plan to run around naked which is a big NO!). The society is up to date with global fashion. Even the extremely religious men and women are trendy and decent in their dressing. Ok so before you doze off I am going to end Part 2 of Travelling TURKEY over Tea. Do read Part 1 as well. I am sure I won't be able to fit everything in just two three parts, will take a gazillion post if I dive into complex details. For now I plan to focus on the tip of the iceberg. 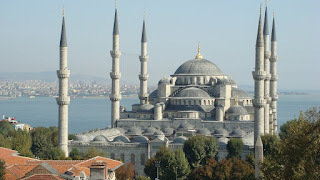 Part 3 will be about the places you must visit in TURKEY other than Istanbul. Till then do LEAVE A COMMENT below and let me know "Which place do YOU want to visit in Istanbul" and "WHICH place do you think MR. Fatih should visit in Pakistan" other than Dolmen Mall, Clifton. P.s: Thank you to Mr. Fatih and TURKISH AIRLINES for making this delightful series of blogs happen. This is not a paid content, more of a passionate post! IMPORTANT NOTE: The images used in this post are not mine and have been taken from the internet for reference purpose only. If you happen to be the owner of any of these let me know and I will give you full credit. My condolence to you :( may her soul rest in peace! 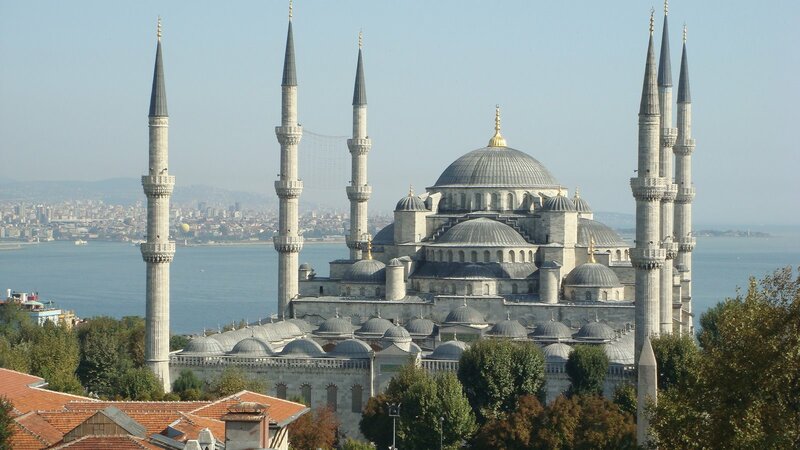 Oh, I love how you described Turkey and definitely on my wish list of places to see before I die!! 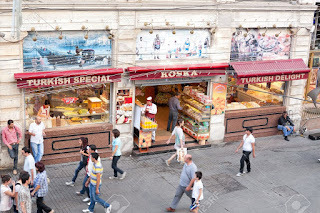 I had Turkish Delights (citrus and rose flavored...probably American/Westernized instead of Authentic, because I saw the movies "Narnia the Witch, the Lion, and the Wardrobe!) I am want to see these buildings that I read in my history books in real life!